ESFPs have an Extraverted, Observant, Feeling and Perceiving personality, and are commonly seen as Entertainers. Born to be in front of others and to capture the stage, the ESFP personality type loves the spotlight. ESFPs are thoughtful explorers who love learning and sharing what they learn with others. ESFPs are “people people” with strong interpersonal skills. They are lively and fun, and enjoy being the center of attention. They are warm, generous, and friendly, sympathetic and concerned for other people’s well-being. Are you an ESFP? Take the free personality test! Though it does not always seem to be the case, ESFPs know that it’s not all about them. They are empathetic to others and care deeply about family and friends. They naturally seem to rely on luck or opportunity over planning, and are likely to simply ask for help from others when they need it. ESFPs are known for being highly social, outgoing, talkative, and a bit of a show off at times. They love to be the center of attention and perform for people. They enjoy stimulating other people’s senses, and are extremely good at it. They would love nothing more to be forever the host of a continual party. ESFPs genuinely enjoy spending time with others and getting to know them, and have a knack for making people happy, even in the most frustrating situations. A good challenge is always appreciated by the ESFP personality type, and they make wonderful and inspiring counselors, social workers, personal coaches, and consultants who improve employee or customer satisfaction. Their strong sense of adventure, desire to learn new things, and fun-loving positive nature are forces to be reckoned with. The biggest challenge ESFPs face is that their primary focus is trained on immediate pleasures and gratifications, sometimes so much so that they neglect the duties and responsibilities that make it possible for them to enjoy those pleasures and possessions they love so much. Complex thinking, repetitive tasks, and pairing causes and effects are not easy activities for ESFPs. People with this personality type are sensitive individuals who care deeply about what others think about them, and any rejection of their hobbies and pastimes can be taken personally. ESFPs are unbelievably likable people who truly find joy and satisfaction in life’s smallest moment and in the small pleasures. Enthusiastic and affectionate, these individuals have a very down-to-earth approach to friendship and love that simply believes in an honest approach to all aspects of life and wants to take things at face value. They reassess their state of affairs and loyalties constantly, and they are always looking for ways to make things better. ESFPs often will find that they are welcomed wherever people have a need for laughter, playfulness, and a willing volunteer – and there’s no greater joy for an ESFP than helping others, trying something new, and sharing experiences. The information you’ve just read is only a brief description of your personality type. Find out everything about your personality in the 20+ page Premium Profile! Understanding your personality is one of the most important things you can do to create a happy and fulfilling life. Read more about the ESFP The Performer Premium Profile here! Check out the Premium Profile for The Performer! Would your company benefit from using Myers Briggs? 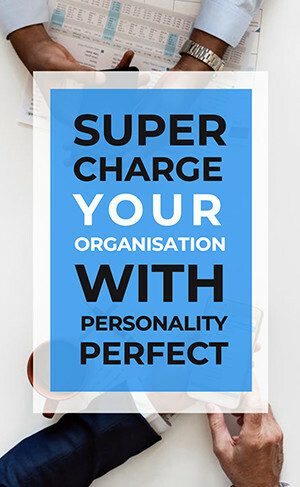 PersonalityPerfect is expanding to include the workplace! Which personality type is your perfect match? Get our brand-new app PersonalityMatch and find out today! Love it!! Spot on... 99% accurate! Great app! This is great for getting to know myself better, how I relate to others and also highlighted some career paths that are worth considering! Great to do this in a group! Copyright © 2018 PersonalityPerfect.com. All Rights Reserved.